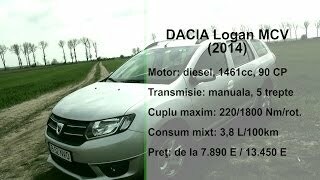 Dacia Logan MCV made its debut at the 2013 Geneva Motor Show to follow in the footsteps of the Duster, New Sandero and New Sandero Stepway. 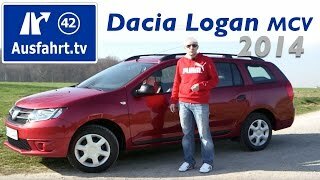 Dacia Logan MCV is the most affordable estate car in UK. 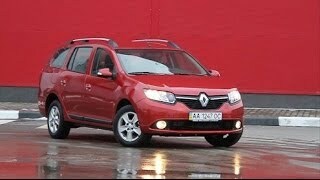 New Logan MCV confirms Dacia's credibility in the field of spacious, practical vehicles. The New Logan MCV boasts an attractive design as well as offering class-leading loading capacity (boot measuring 573 litres with the rear seats up and 1518 litres with them folded) and generous dimensions (4.49 metres long, 430 mm more than New Sandero). The 2013 Logan MCV comes with a choice of two petrol engines: 1.2 16v 75, versatile and economical and the brand new TCe 90, a three-cylinder turbocharged petrol. The TCe 90 offers crisp, supple acceleration to combine motoring pleasure with enviable fuel economy (56.5mpg) and low CO2 emissions (116 g/km). 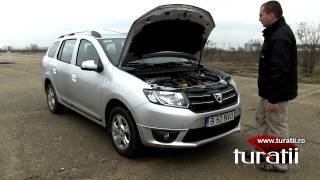 The 2013 Dacia Logan MCV will be available with the 1.5 dCi diesel engine, producing 66 kW (90 hp). Fuel consumption for the diesel engine remains among the lowest in this segment, at 74.3mpg for a very low environmental impact of 99 g/km of CO2. From the outside, the new Dacia Logan MCV has an energetic look, with design features, including roof rails, that evoke strength and vigour. The black mask above the rear lamp units highlights the impression of spaciousness and robustness. The interior boasts a high degree of perceived quality. The driving position is comfortable, with fully adjustable driver's seat and steering wheel (on some versions). The interior arrangement is clever, offering no less than 16 litres of handy, accessible stowage features, such as front and rear door bins, cubbies and a storage tray on top of the dashboard. The luggage compartment cover (on some versions) has a rigid upper section with additional interior stowage capability.